Last night, at dusk, I watched a mass haka performed beside the Al Noor Mosque. And in that moment the gap between where I live, Australia, and where I am from, New Zealand, felt like it couldn't be wider. The haka itself was the rolling kind. 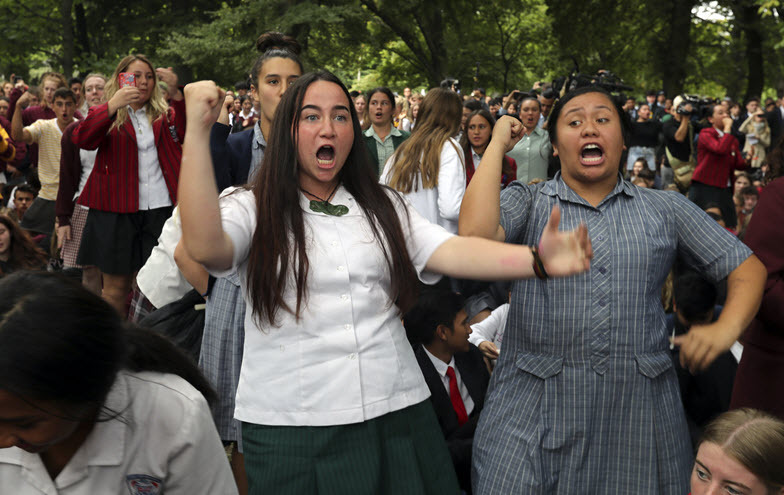 After the first one, a smaller group of teens in school uniform got even closer, up against crime scene tape blocking us from the mosque, and started to perform a second haka the moment the first finished.